Pearl Cluster Earrings. 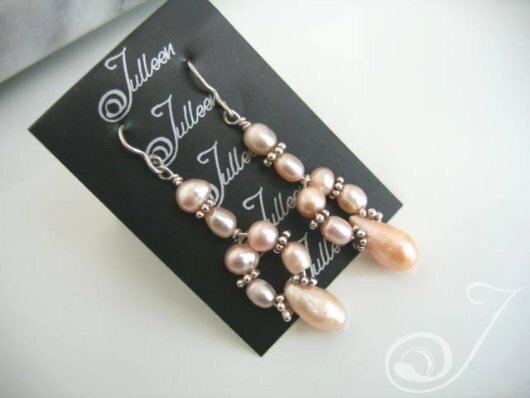 Unique Pastel Pink Twist Multi Pearl Drop Earrings. Multi Pearl Design with a twist. All in Sterling Silver – 53mm.